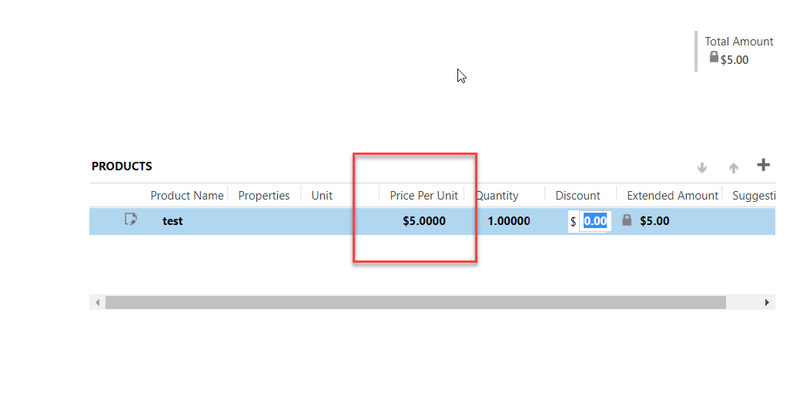 There are three places in Dynamics 365 that determine the number of decimal digits are displayed on money fields in Dynamics 365. If you find a money field is not behaving as expected, you need to know how these three settings work. Currency level: On the currency record, set the decimal precision. This will determine the default decimal precision to currency fields in CRM. 2. System Settings: In Settings>>Administration>>System Settings, there is a setting specific to pricing fields. If you set this to a different value than the currency default, fields like the unit price on quotes, opportunities, orders, and invoices will display the number of digits selected in settings. 3. Field level: when you create or edit the configuration of a money field, you can choose the currency default setting (the value selected in #1) or a different precision value.